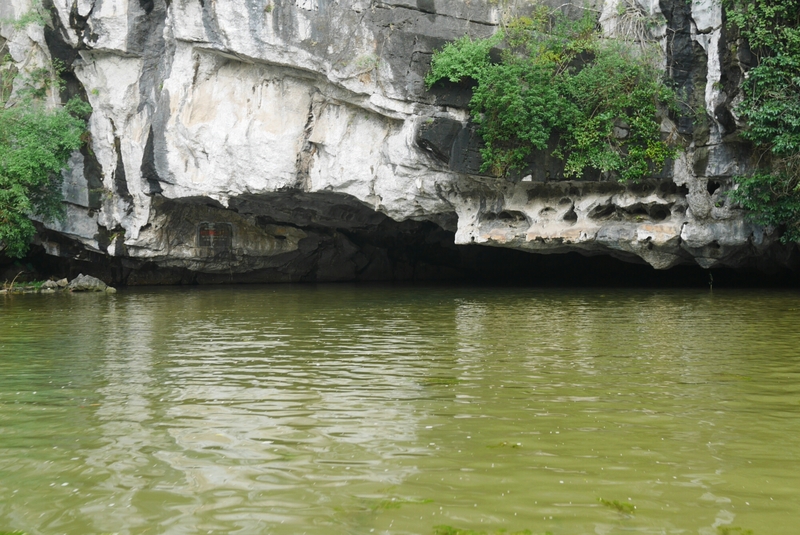 Ninh Binh itself is a pretty small town and not much to see inside the city. 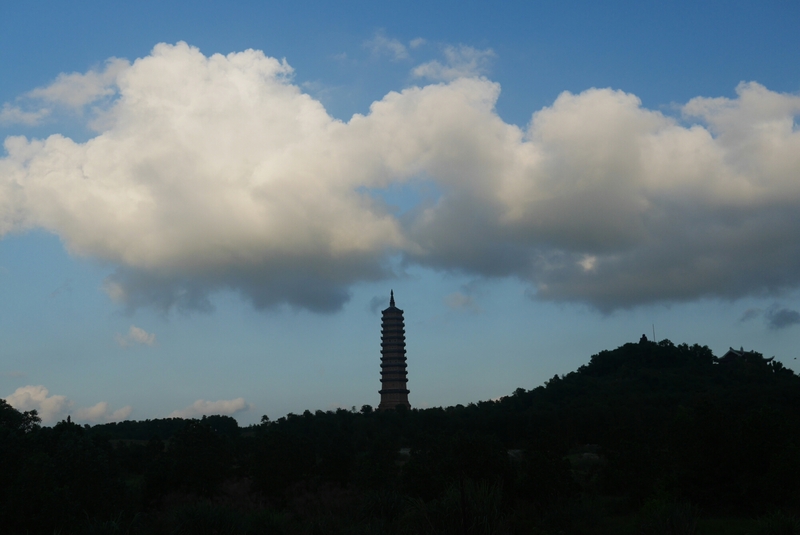 The reason people come here is to see the countryside. 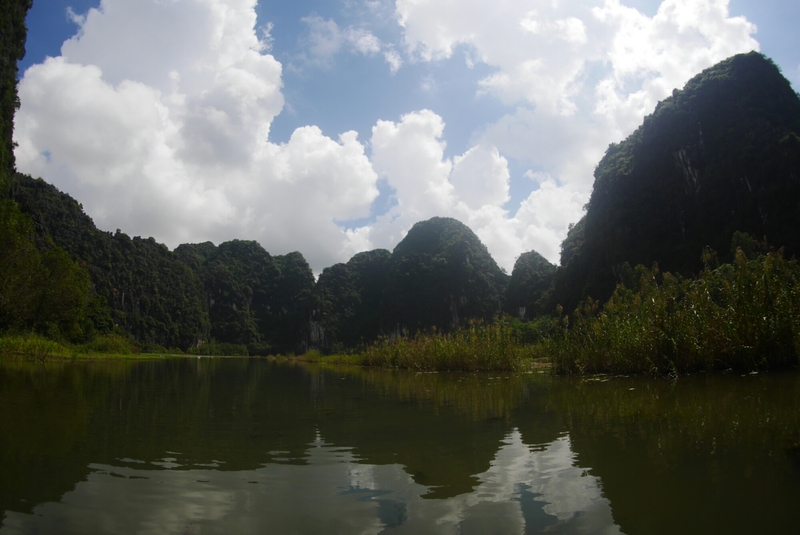 The landscape is somewhat reminiscent of that of Halong bay with the same kind of karst cliffs but instead of islands in the sea, they stick up out of fields, rice paddies and rivers. 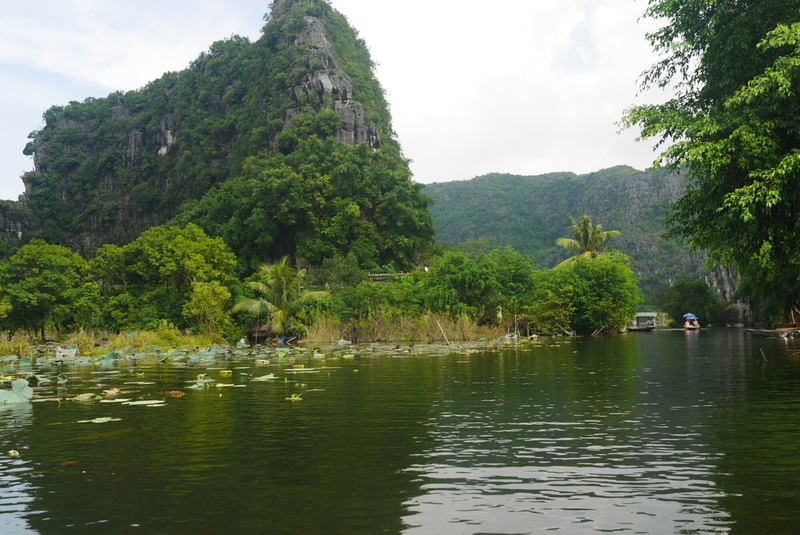 The best (or at least most famous) place for seeing this landscape is Tam Coc, some seven or eight kilometers from the city centre. 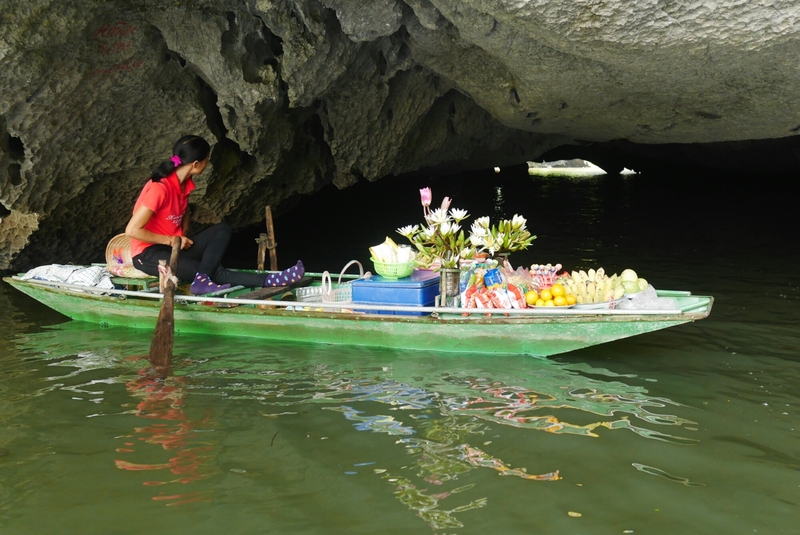 You rent a boat for two or maybe three people and a local person rows (using her feet) you along a small, shallow river that meanders between, and sometimes through, the karsts. 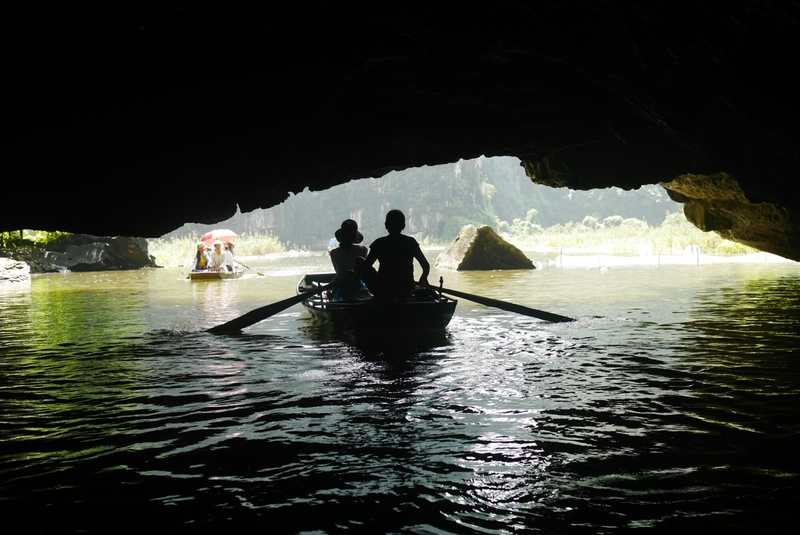 It’s sort of pricy but well worth it. 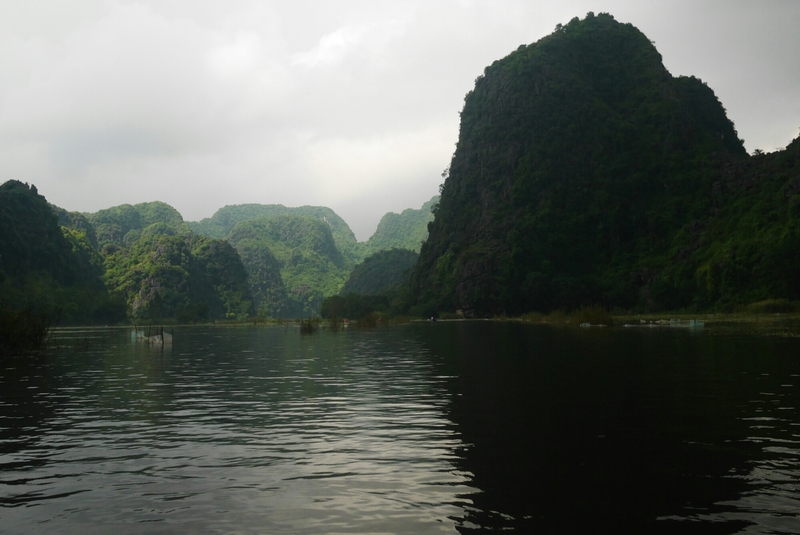 Since we had just been to Halong bay before coming here you might think this would be too much of the same, but the surrounding landscape is so different it felt like a completely different experience. 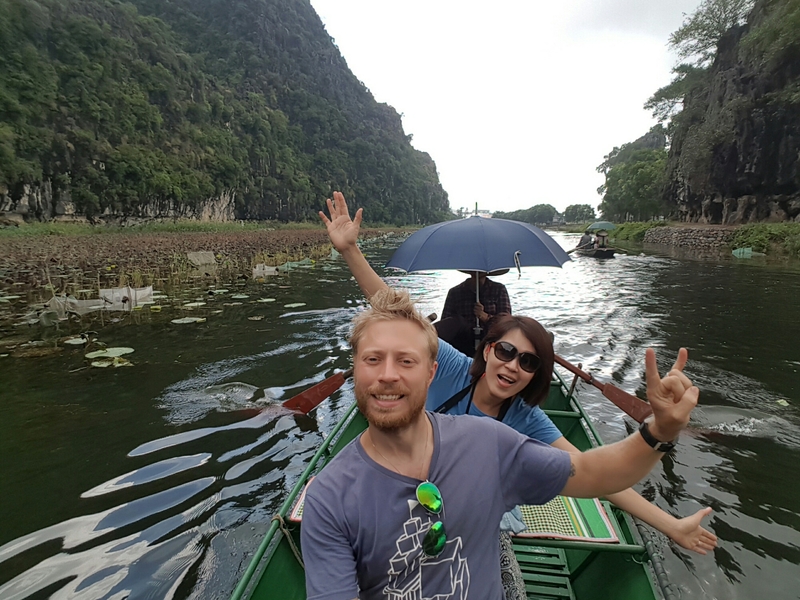 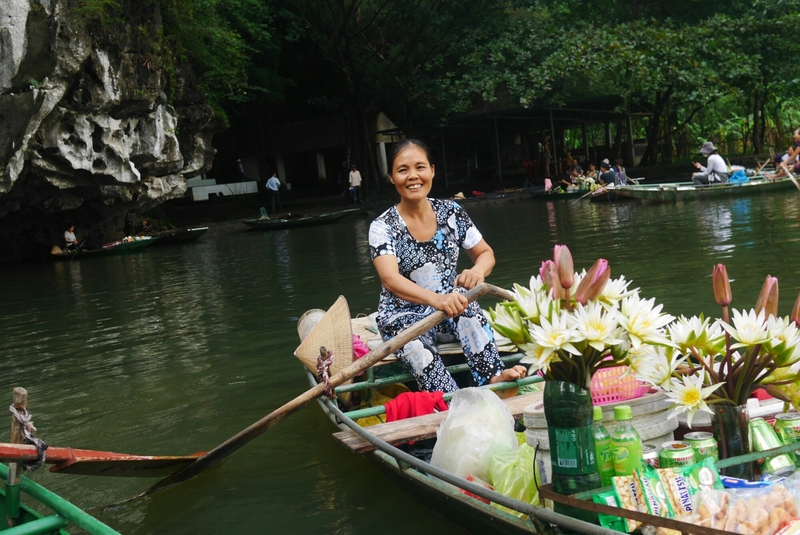 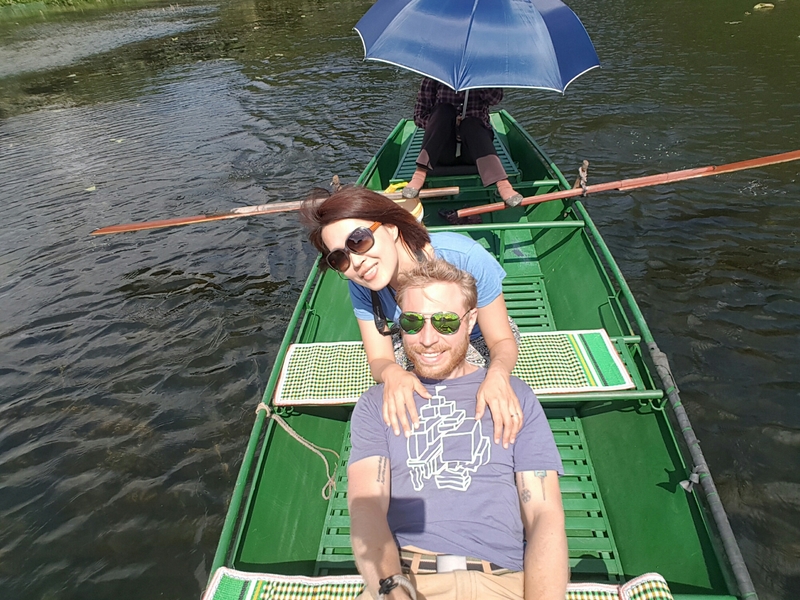 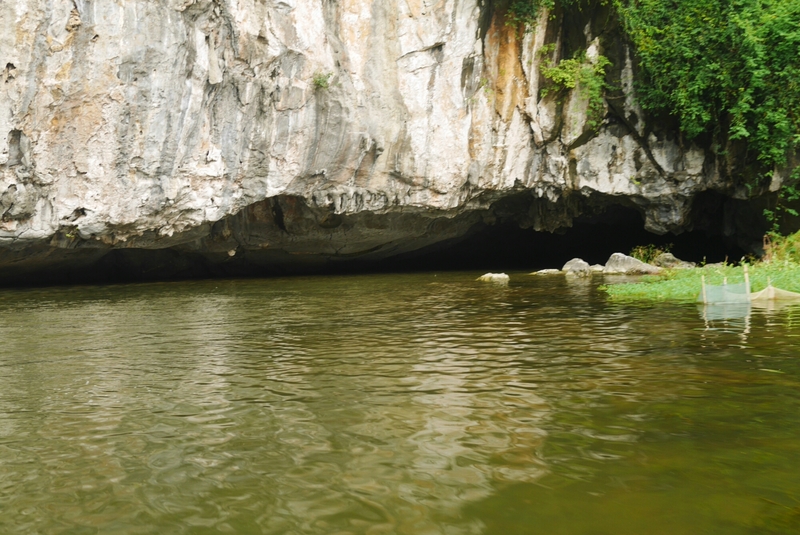 When we were finished with the boat ride in Tam Coc we headed out to explore other parts of Ninh Binh. 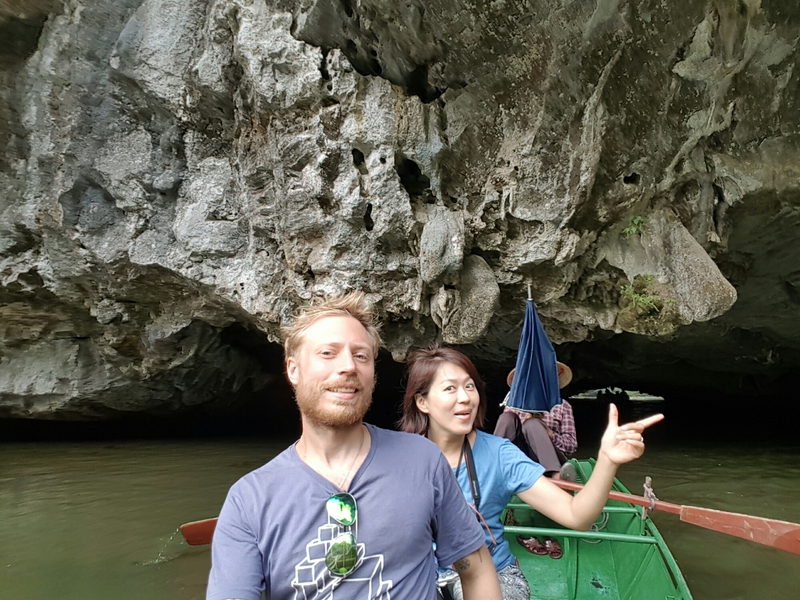 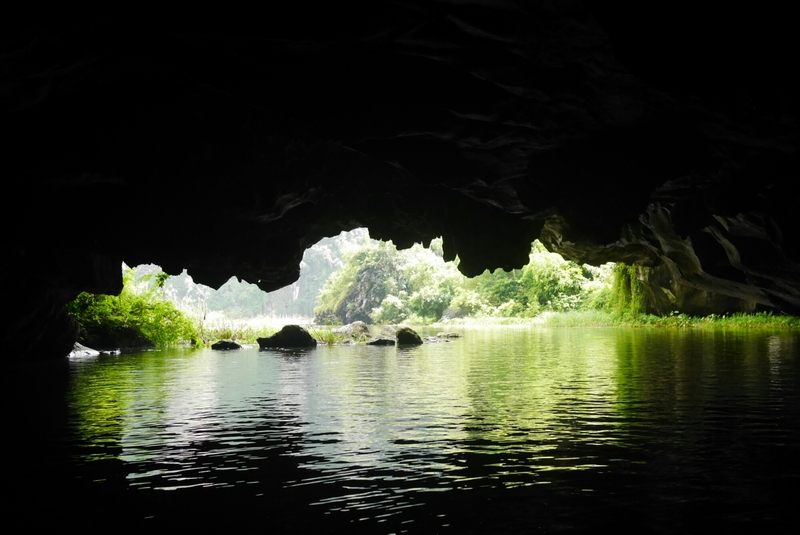 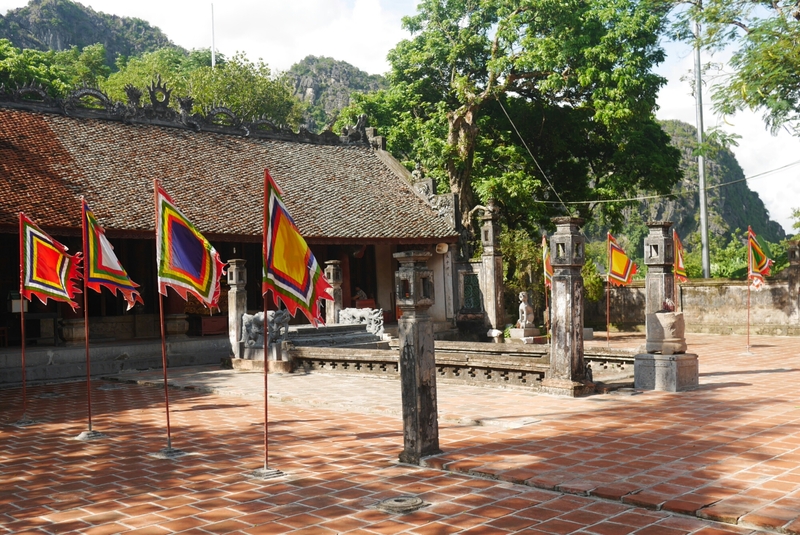 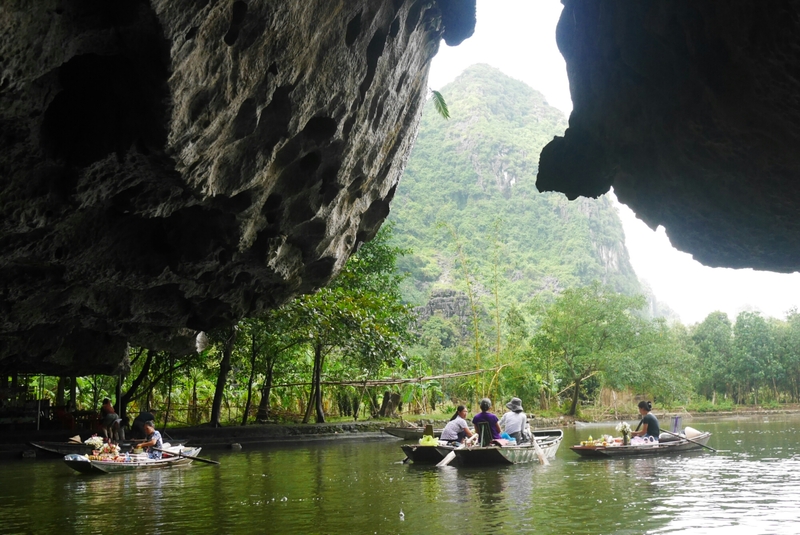 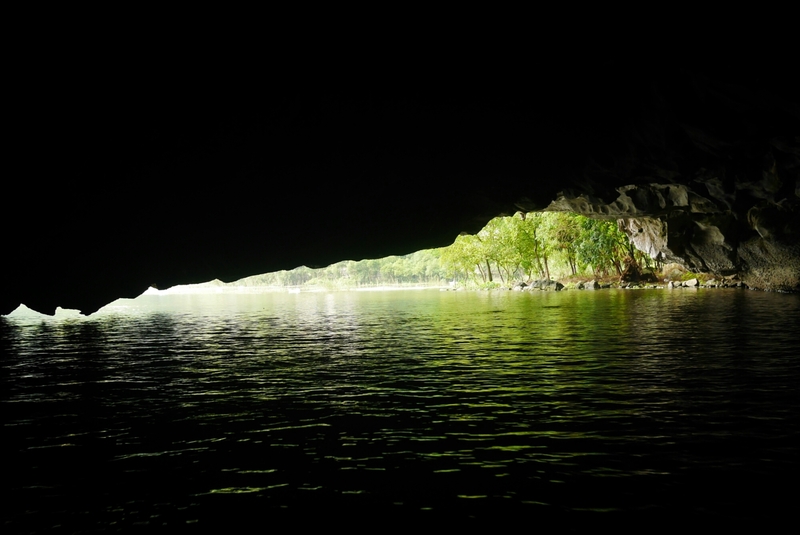 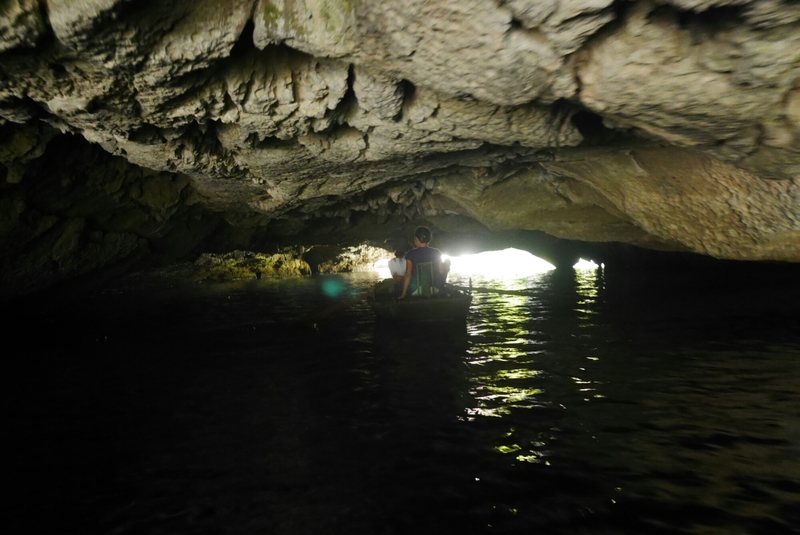 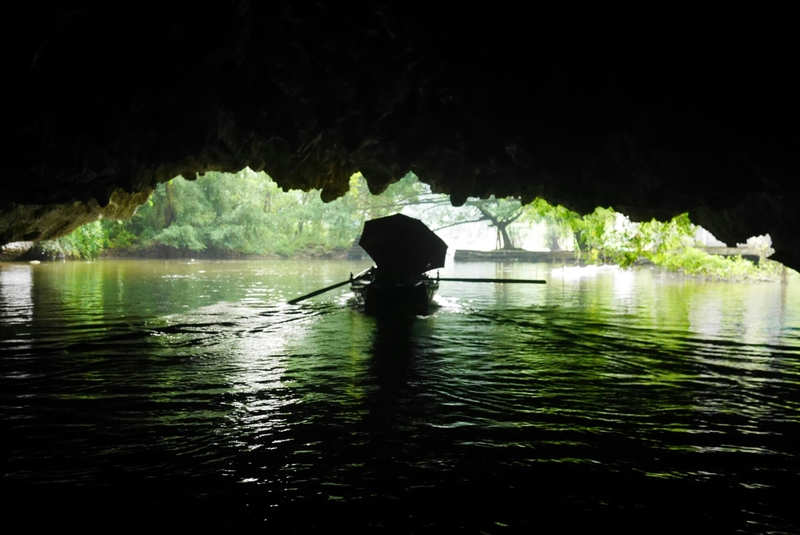 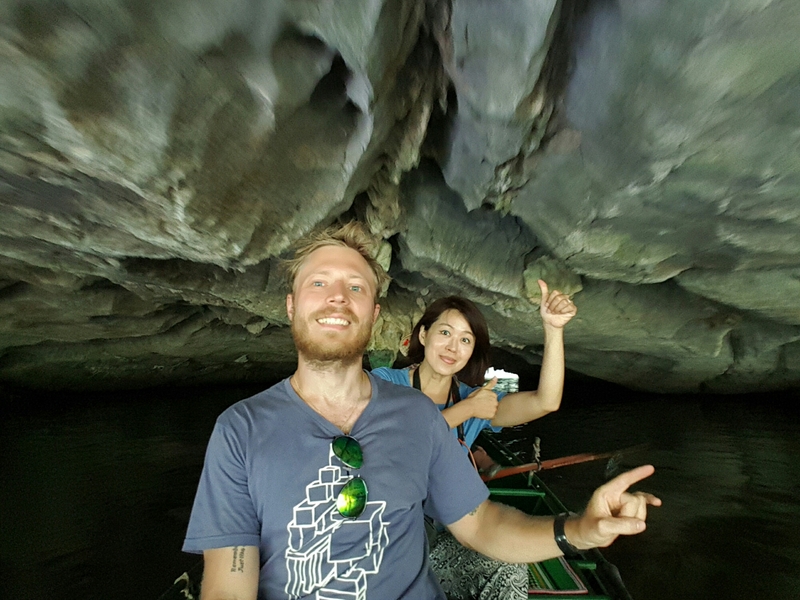 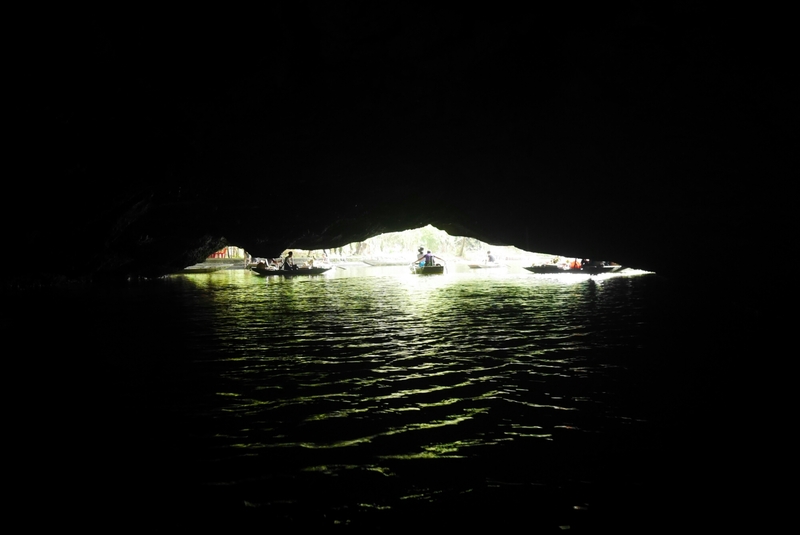 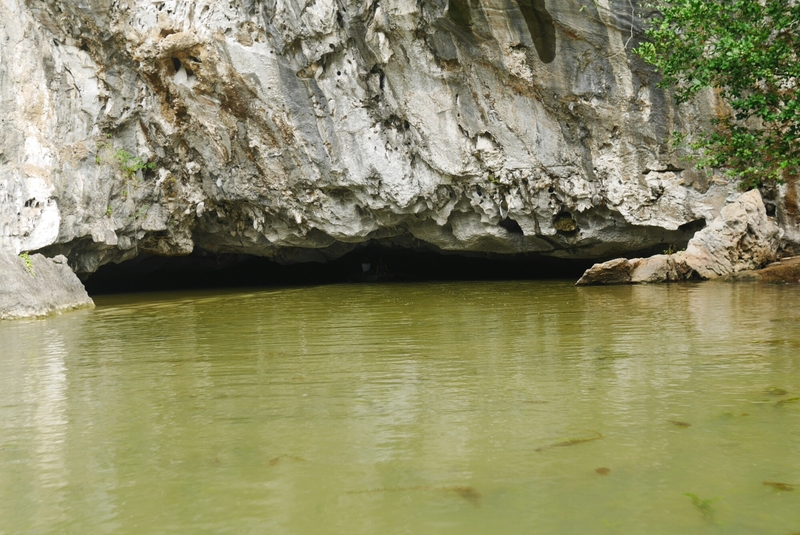 Just a few kilometers from Tam Coc are some caves called Buddha cave and mermaid cave. 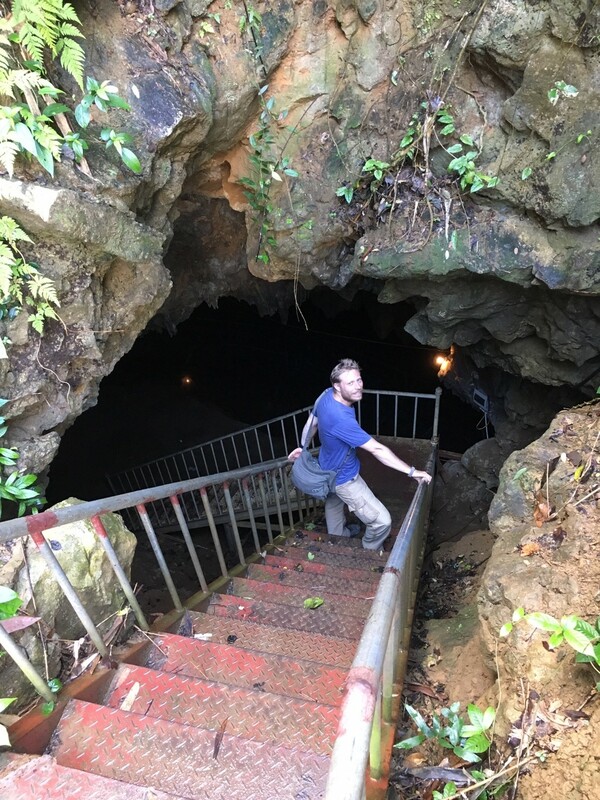 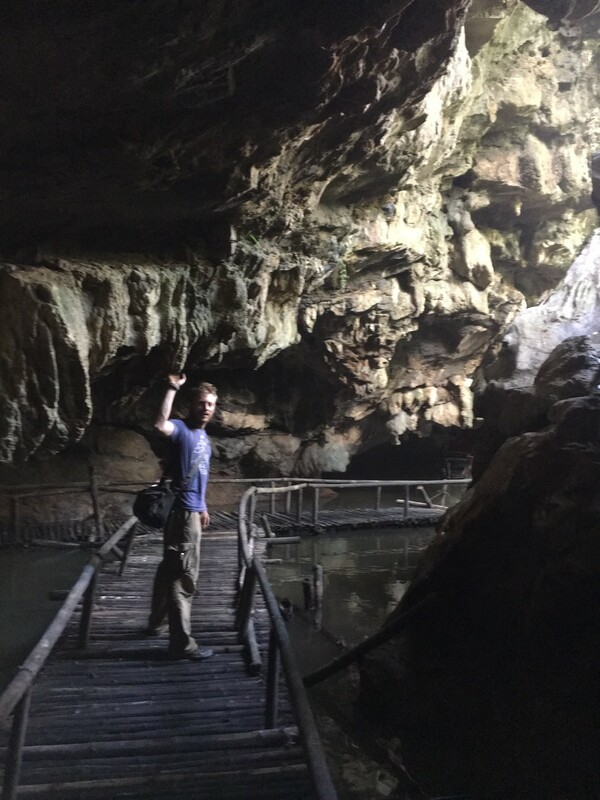 After the caves in Phong Nha It wasn’t much but not too bad. 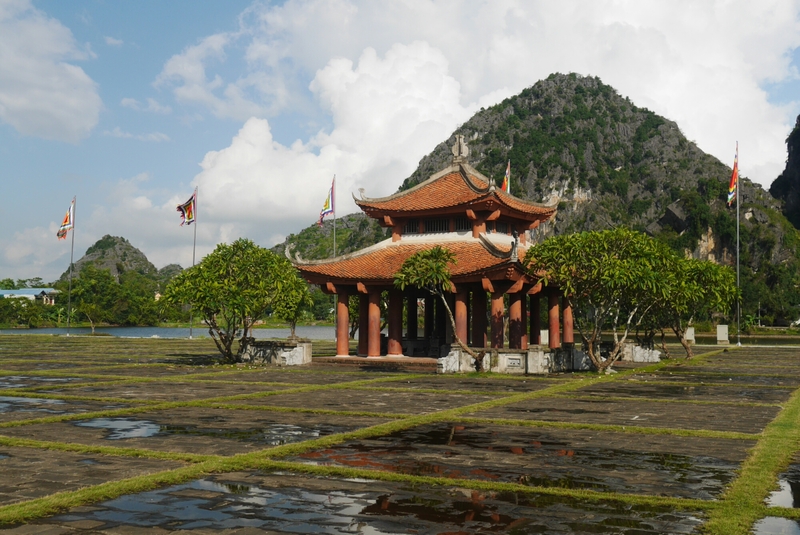 Some distance away is Hoa Lu which used to be the ancient capital. 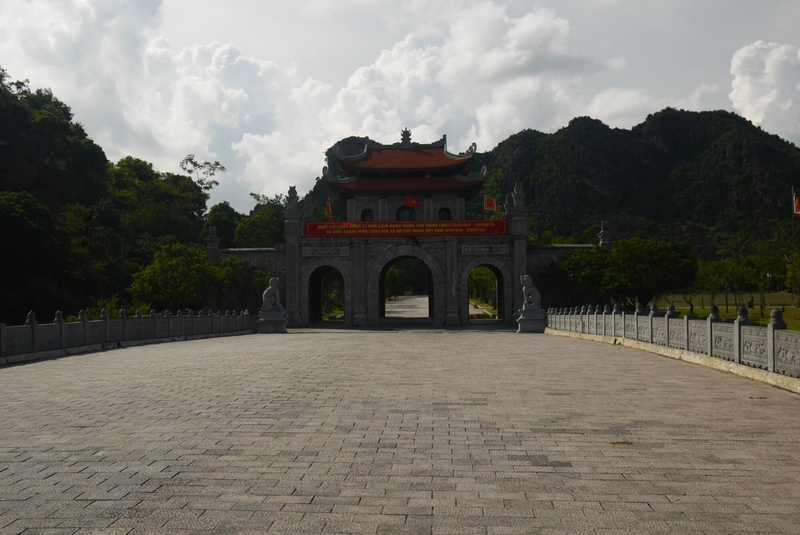 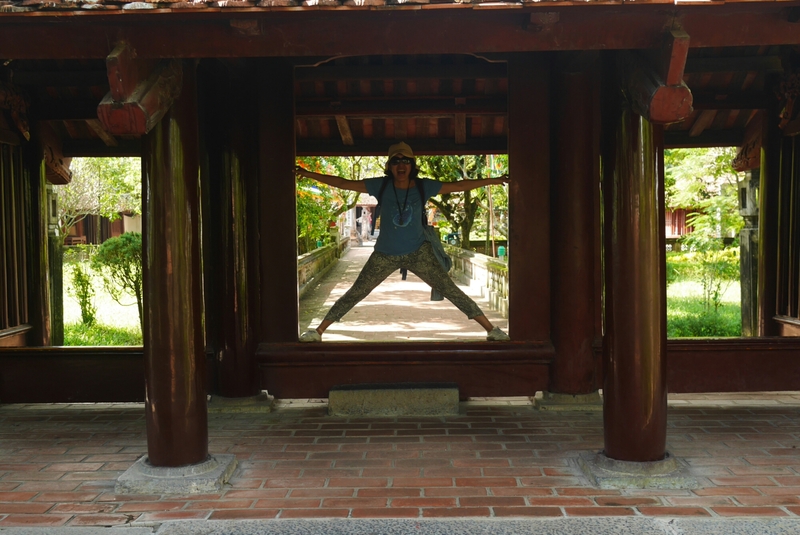 There’s not as much to see as in the citadel in Hue, but still, a bit of history to break off all the nature. 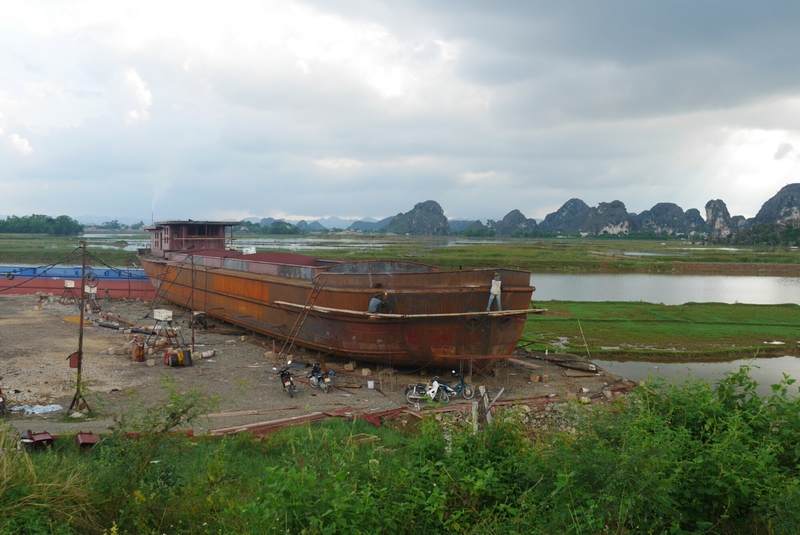 We also went to a village called Kenh Ga which was supposed to be a floating village but it wasn’t much. 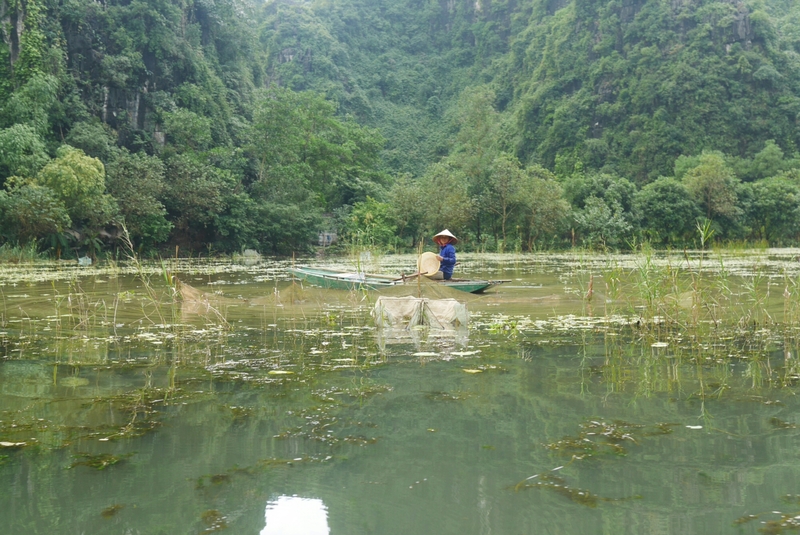 We did get to see a bit of the countryside anyway. 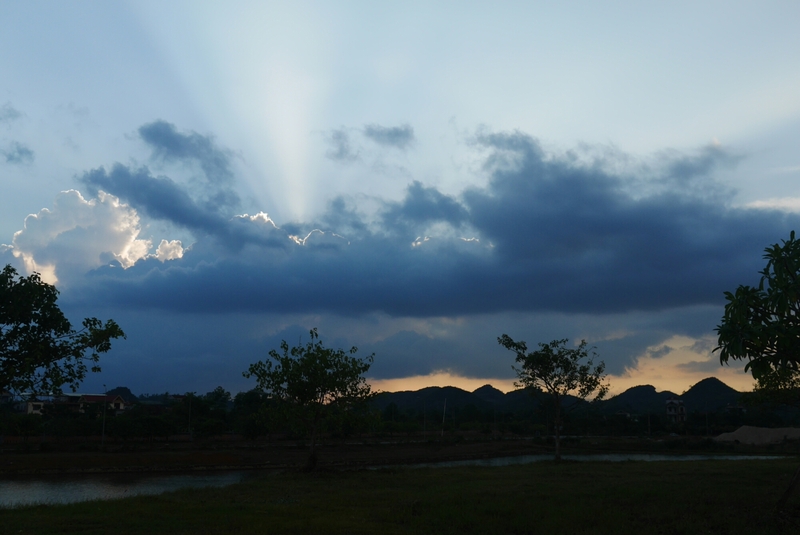 Sun setting over the Vietnamese countryside. 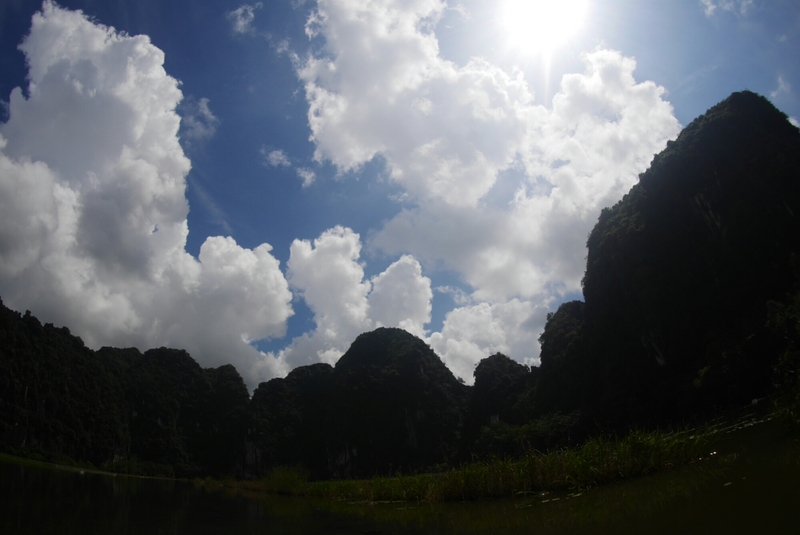 When the sun started to set we headed back to the hotel and called it a night.